Rent it for $250/day ……………………………………. 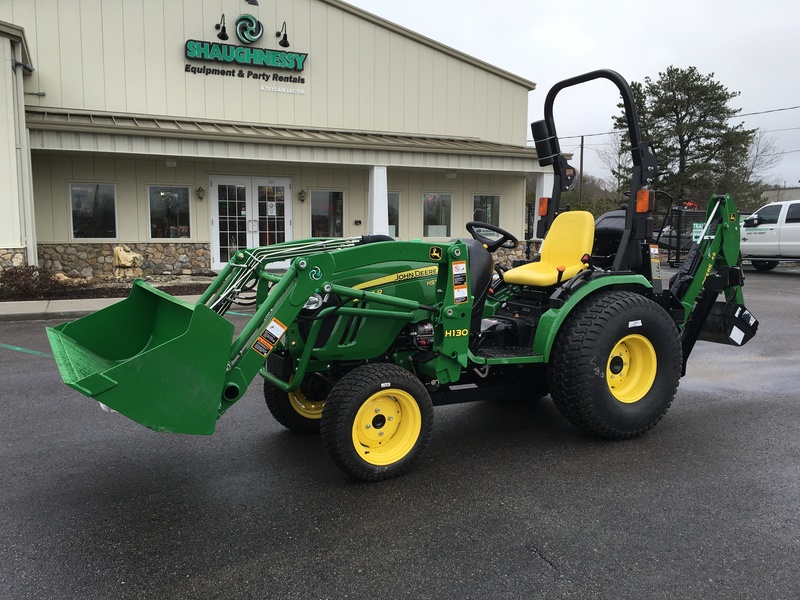 Rent our brand-new John Deere 2032R Tractor! This unit, complete with a backhoe attachment, is a great tool for homeowners and contractors alike with backyard projects. Turf tires allow for maximum grip on surfaces, while also leaving less of an imprint on your lawn than typical construction tires. The open cab gives the operator great visibility during equipment use. The front loader bucket is 62″ wide and has a lifting capacity of 820 lbs. The backhoe arm has a digging depth of 78″, and reach of 101″. It has a lift capacity of 350 lbs.